BHA squirt and peewee girls can play with the girls for free! Congratulations to BHA Alumni Ryan Little! Ryan (#20), daughter of BHA coaches Gordon Little and Elizabeth McLarney scored the game winning goal in overtime to bring Boston College to the Division I semi-finals this weeked! The assist came from another local, Cayla Barnes! Interested in a Summer Hockey Camp? 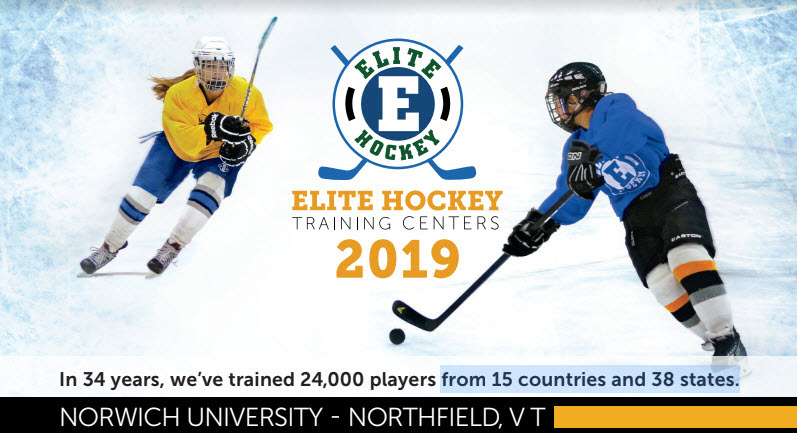 Elite Hockey was our 2019 GMT Sponsor!! !